Easter Weekend: We are open on Sat 20 April. We are closed on Fri 19, Sun 21 and Mon 22 April. Items identified with this symbol are genuine ex-SANDF (South African National Defence Force). 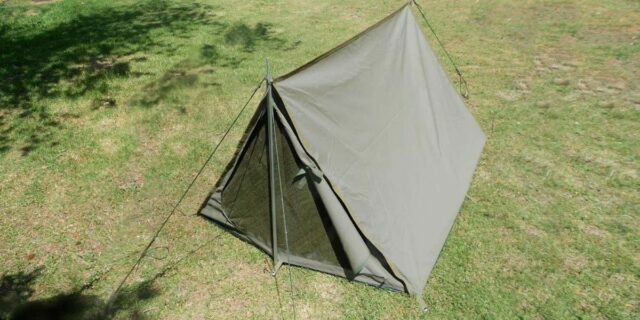 New, Lightweight 2 Man Cottage Tent in Olive Green colour. 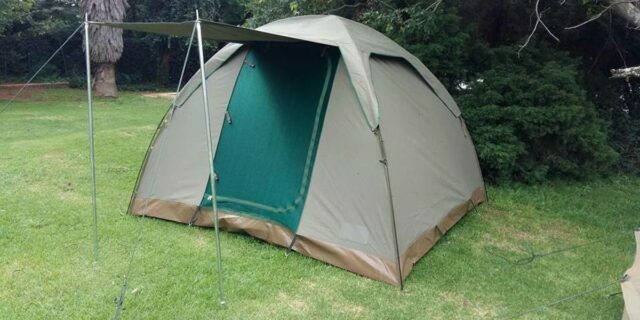 Made of waterproof PVC. 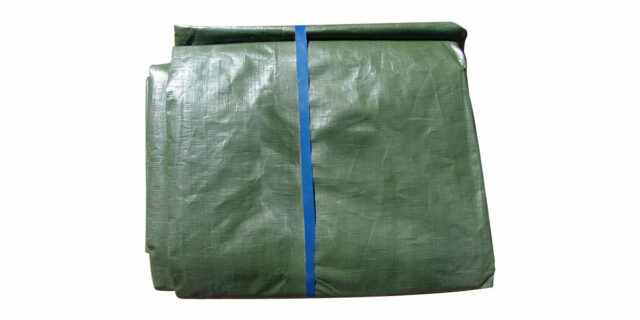 Packed weight: 3.6kg in a bag, measuring 60cm x 30cm x 10cm. Click here to read our shipping info. All orders subject to terms and conditions. 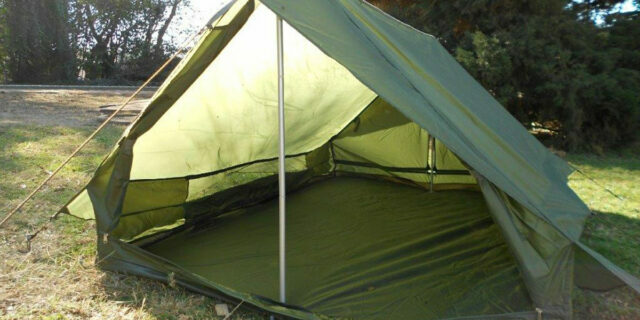 Enquire about "Lightweight 2 Man Cottage Tent (Olive Green) - NEW"
Prove you are human - what year is it? We courier orders with The Courier Guy or Time Freight or ship via PostNet, or customers can arrange their own shipping. Unless specified, we always strive to charge the lowest price option for shipping. Once the order has been booked for collection and customers request a change of delivery address, any additional costs will be charged for and will result in delays. Orders couriered Monday to Thursday only, via Post Net, Monday to Friday. Tracking info is provided for both Courier and PostNet and customers are encouraged for their own convenience to track their items from the Courier or PostNet websites. Please note we can request orders to be delivered by specific times but we cannot be held liable for late or non delivery as we have no control of the couriers or Post Net delivery schedules. We are happy to assist with tracking queries - please contact us for info. Ex-SANDF (South African National Defence Force) All-Wheel Drive Trucks (4x4 & 6x6). Ex-SANDF (South African National Defence Force) & Ex-SAPS (South African Police Service), Armoured Vehicles. 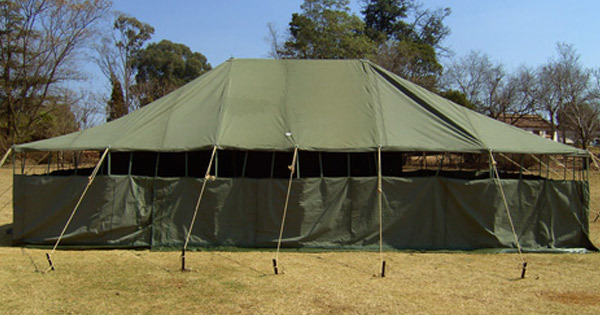 Our Address: TentPro, 14 Game Reserve Drive, Rietvlei, Pretoria, South Africa, 0181. GPS: -25° 53' 06.04", 028° 15' 53.89"
DISCLAIMER: The information presented on this website is provided in good faith but is subject to change without prior notice. Whilst every effort has been made to ensure that the information contained here is accurate and helpful, South African Military Surplus accepts no responsibility or liability in respect of any errors or omissions which may occur. Prices are in South African Rands (ZAR). Foreign currency information is made available for convenience and estimation purposes only. Exchange rates are updated every 24 hours.